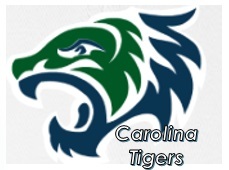 The Carolina Tigers are rooted in the tradition of the Gaston Tigers Athletics Program founded by Keep Play'n Inc leader Bill Gillispie. Under Gillispie the Tigers participated in youth basketball and youth baseball then semi-pro baseball from 1983 -1993 in Gastonia NC. The Tigers also competed nationally and were known as a class organization that exhibited sportsmanship and sound play. Many of it’s alumni have gone on to be leaders in their professions, and productive citizens in their communities. Keep Play’n Inc and the Carolina Tigers and its leaders continues that legacy. We believe in playing the game of baseball and the game of life “The Right Way”.